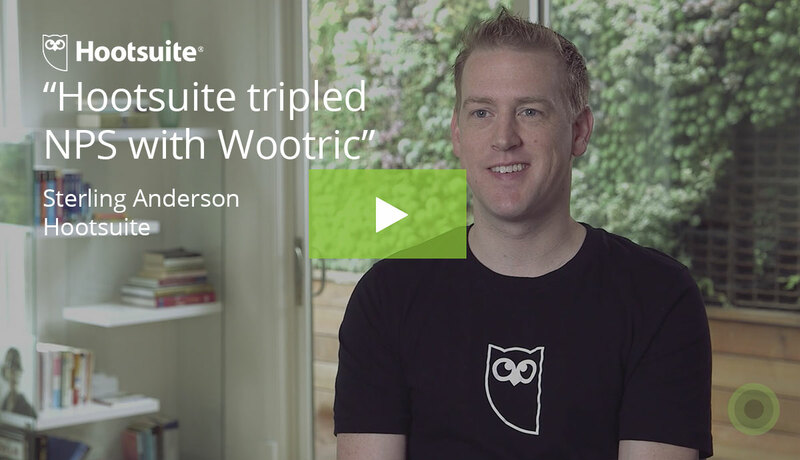 The Wootric team is excited to announce a new feature: Tagging. A tag is a label you may create and optionally apply to individual NPS survey responses for the purpose of filtering, sharing and performing trend analysis. Our users can now create an unlimited number of custom tags and associate them with NPS responses. Tagging allows you to implement structure around qualitative feedback to make it both measurable and actionable. One of the most valuable aspects of using the Net Promoter System is getting a constant pulse of qualitative feedback from your customers. 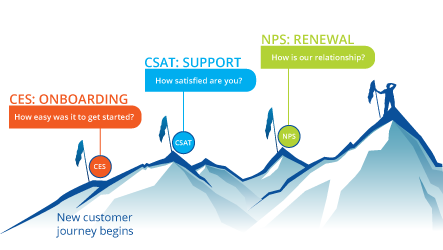 When your customers give you an NPS score — whether that is a “3” or a “10” — it is their response to the open-ended follow-up question that gives you the “why” behind their score. 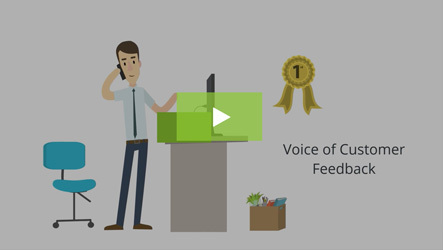 This rich, detailed feedback brings the voice of the customer right to the table. However, it also presents a challenge. Qualitative feedback is unstructured, therefore it can be difficult to manage. Use tags to assign follow-up responsibility to one or more people or departments within your company. By tagging specific stakeholders, you determine who should be owning next steps on feedback. For example, you might tag an enthusiastic endorsement with “Marketing” so that function can follow-up with the customer about referrals, or using the comment on your website. 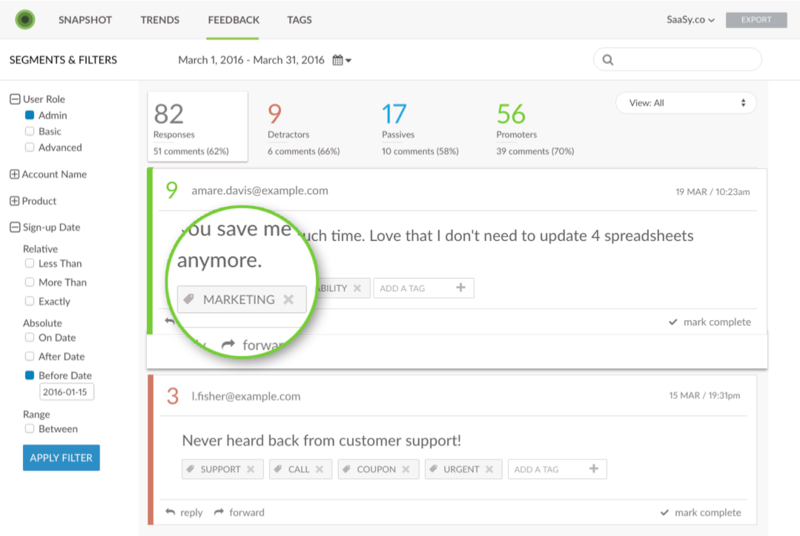 Use tags to track comments related to your product, website or your customer’s experience. You may have a good idea of what comments themes already are. Or, you can begin to create tags based on what comes in and, overtime, you may see themes emerge. For example, you may learn that among detractor comments, a high number are focused on, for example, support, shipping, or a particular feature. This will help you understand what issues are most pressing and address them. You can also track how feedback themes are changing over time, and whether you are making an impact with your follow-up actions. 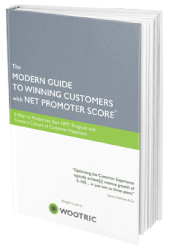 Get our ebook, The Modern Guide to Winning Customers with Net Promoter Score. 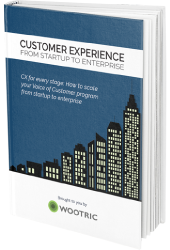 We’ll show you how to modernize your NPS program for the most successful year ever. Under every NPS response that comes in to your Wootric dashboard, there’s a prompt to add a tag. You can manually go in and type in the name of the tag that you want to associate with a piece of feedback. To help avoid duplicate tags, the tagging function in Wootric will auto-suggest previously created tags that start with the same letter. This way it is easy for you to select a tag you’ve used before and then add it to new comments as they come in. For example, you may receive a positive comment and you want marketing to know what’s working. Tag them by role by creating a “marketing” tag. As another example, you may receive negative feedback about a new product feature. Tag the team for that product so that they can measure all of the open-ended feedback around that feature, take action, and then measure customer feedback again when changes have been implemented. Once you have implemented tags, you can roll everything up to see the mile-high view within the new Tags tab in your dashboard. Here you can see which tags are associated with the most responses as a result of categorizing this feedback. The percentage of comments that are associated with a given tag and how that has changed versus the prior period. And of course you can see the Net Promoter Score for that tag based on the responses connected to it. 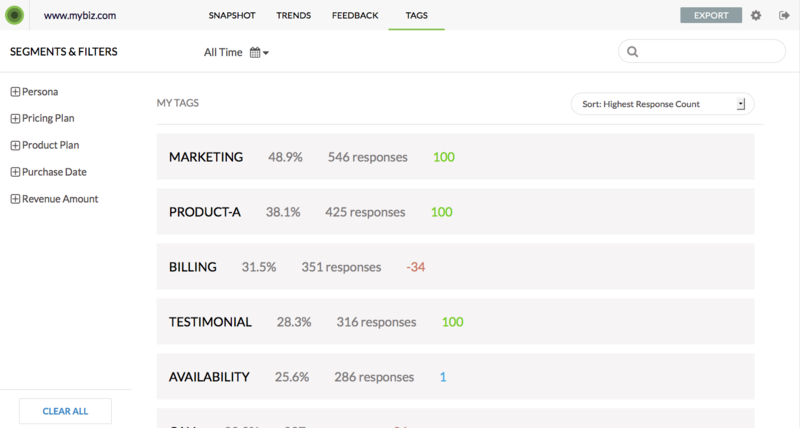 Now you can quickly see which tags are driving the most impact, which tags have the highest sentiment score. Over time, you can start to see how qualitative feedback themes are changing, and what aspects of your product and service are driving positive or negative feedback from customers. Bottom Line: Open-ended feedback is incredibly valuable for your business but it’s hard to efficiently track that feedback over time or to effectively implement actions. The new tagging feature and tagging dashboard allows you to track feedback and take action in any way that you can imagine, to meet the needs of your customers and continue to achieve your business goals.